If you're a student on a full-time or pre-sessional course, you can apply to extend your visa through our Tier 4 Extension Service. Before booking a Tier 4 extension appointment you will need to provide specific documents to be checked at a 'drop-in' session. Use our checklist to make sure you bring all the documents we will ask to see at your appointment. Make sure you request a confirmation of acceptance (CAS) to study at least two weeks before the date of your Tier 4 extension appointment. 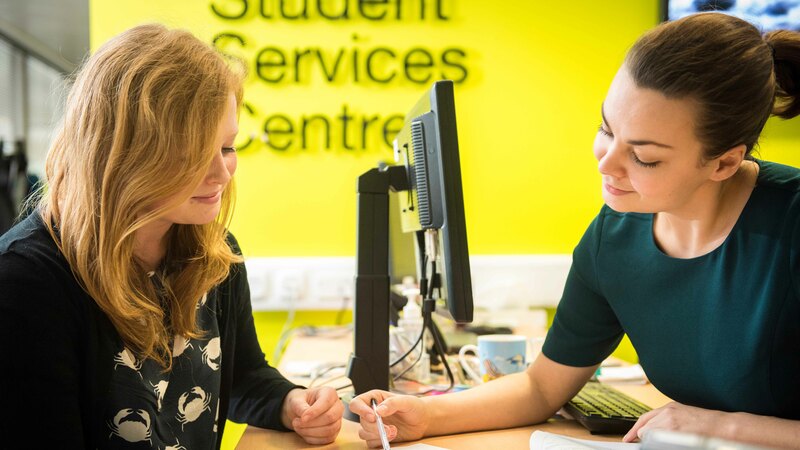 After you have collected all of the required documents, you can make a Tier 4 extension appointment by going to the Student Services Centre at the 4 West Roper Student Services Centre, or by calling +44 (0)1225 383838. Please note, no visa advice will be given over the phone. You can then fill in the online application form on the government website and save it without submitting or paying a fee. For help with completing your application, please download our application instruction form. It is your responsibility to ensure that your application is complete, correct and meets UKVI requirements. Although you must complete your application before your Tier 4 extension appointment, you do not need to submit it to UK Visas and Immigration (UKVI) at this stage. At your appointment a Student Immigration Adviser will help you to complete your application form before you submit it to UKVI. Make sure you complete (but do not submit) the online visa application form and bring the documents we need to your appointment. We will check them for you and (assuming the details of your application are correct and meet requirements) we will submit the online application with you and book your appointment at a UKVI Service Point. The nearest UKVI Service Point that is free to use is in Cardiff. If we cannot see your documents we reserve the right to not provide your CAS number and not submit your application. After you have submitted the Tier 4 application online during your Tier 4 extension appointment, we will book an appointment at one of the UKVI Service Points for you to show your original documents and enrol your biometrics. You must take your original passport with you. Your original documents will be returned to you on the day of your UKVI Service Point appointment. Your BRP will be sent to us within eight weeks if you use the Standard Service. We will email you once we have received it and you will be able to collect it from the University. You can read our guides for more information. We recommend that any Tier 4 applicant reads How to apply for a Tier 4 visa. You can also email our Student Immigration Service if you have any specific queries.